Be Kind Sign From Old Boards | My Crazy Blessed Life! 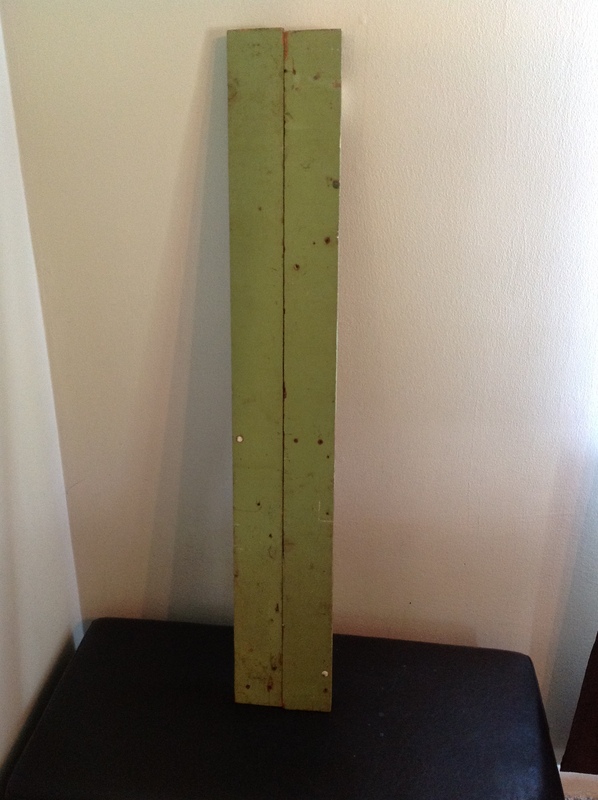 I put them side by side and nailed them together on the back with two small cross pieces of wood. Then after wiping them down for loose dirt, I used a thick white paint pen to write on it. 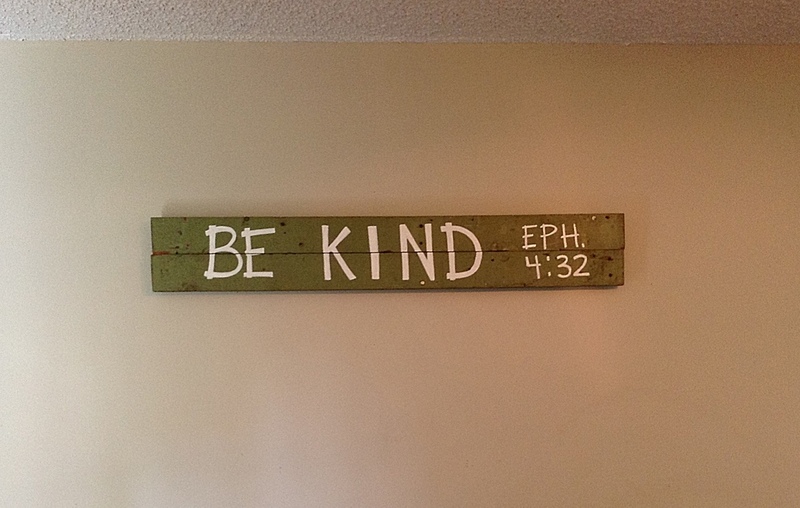 I’ve been really working on the concept of being kind with my girls and Ephesians 4:32 is the verse I’ve been using with them. So I decided that would be a perfect sign for our living/dinning room. I love it I truely do!